Knox Private Hospital doesn’t just save lives. They’re saving waste from going to landfill too. Replas collects sterilised wrap and various other plastic waste from hospitals all over Victoria, to recycle into many a product. Knox hospital now features a Kimberley Seat at its entrance for patients, visitors and staff members to take time out of their busy schedule to sit and relax. 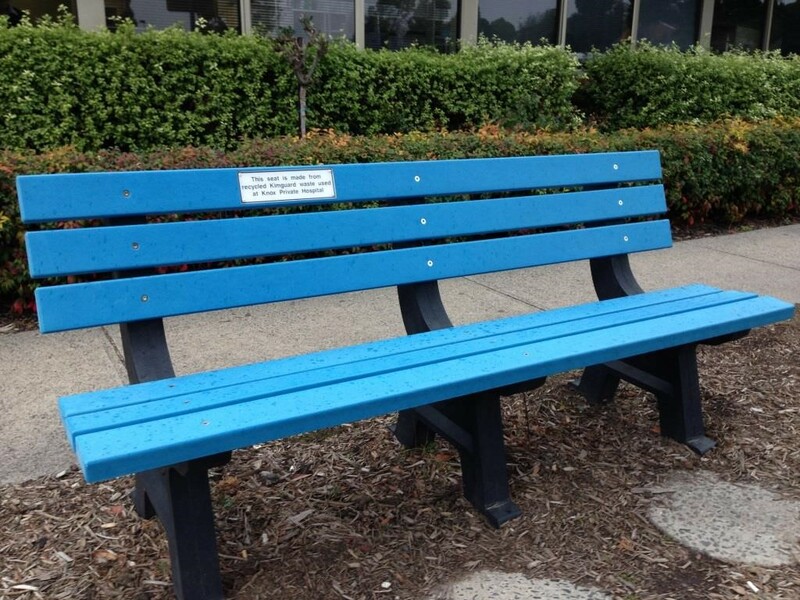 This seat is made out of the very same plastic waste collected from the hospital, creating a special and unique outdoor infrastructure which will remain an important tribute to the hospitals efforts.